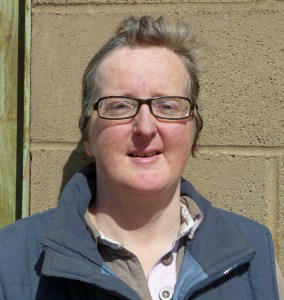 Sandra Glanville joined us as our new stable manager in October 2011. Sandra comes with years of experience, so offers so much to our yard. Kate Towers has also been with us since the early days. 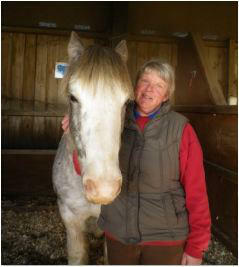 Kate has given up much of her precious time over the years as a volunteer and still turns up on a regular basis. Kate is often seen out in the fields doing the jobs that we try to avoid. Kate’s dog Kizzy loves to come and annoy Sandy by sitting on the chairs. Chin Wangthumtong is our handy-man. 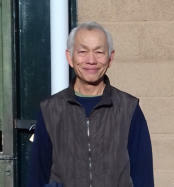 Chin can mend almost anything and loves to save us money by re-using anything that he can lay his hands on. Chin can also often be seen helping out in the yard and maintaining the fields. Iris Bunce - Iris comes with lots of experience and works weekday mornings. She also gets the stalls ready for the morning later on in the day. This really helps the early morning staff. Iris has her own horse in another yard, so is very busy. 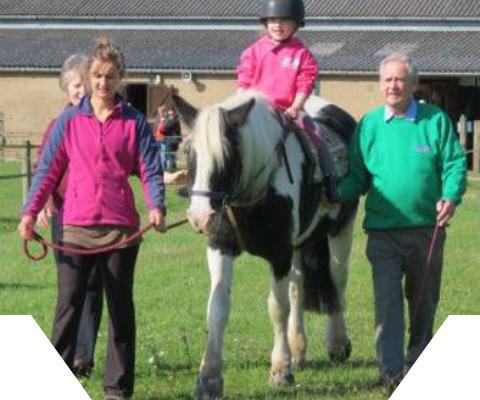 As well as helping out around the yard, Iris will be schooling the horses. Emily Preston joined us in September 2018. 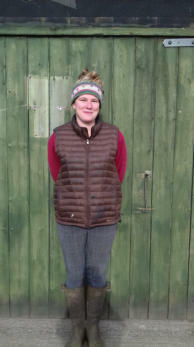 Emily works 5 mornings a week and has owned her own horses. 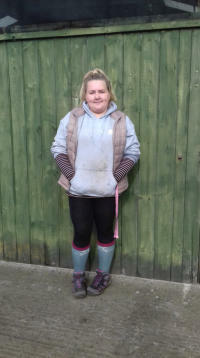 Emily can often be seen lunging the ponies and working around the yard and fields.